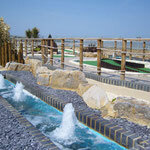 On the weekend of the 10th and 11th of May Strokes will be hosting the British Minigolf Championships for the 1st time. 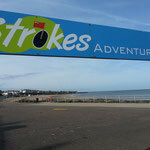 All of the top players from the UK will be participating over 2 days and and 9 rounds of the challenging Strokes course. 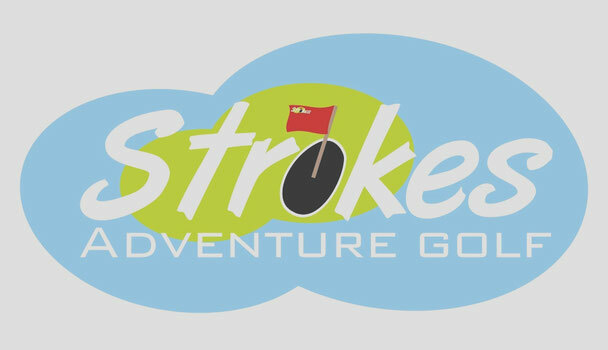 International Miniature Golf tournament at Strokes Adventure Golf course. Oxford Minigolfer Michael Smith became only the second Englishman to win the prestigious BMGA British Open title in its fifteen year history as he was victorious in the 44-player two-day championship on Sunday 23rd September. With players from England, Scotland, Ireland,Germany, Finland, Sweden and New Zealand competing, Smith, a member of the Kent Minigolf Club, stormed to victory, winning the event with a total of 187(-29). Smith’s total saw him finish twelve shots clear of runner-up Johan Ahlander of Sweden. The 2005 & 2007 BMGA British Open champion Jouni Valkjävi from Finland finished in third-place with a score of 201(-15). New BMGA British Open champion Michael Smith said "I'm delighted to have won the BMGA British Open and to have become the first ever player to have won all three of our major championship titles. I played my best ever minigolf and am thrilled to beat such a high quality field on what is, despite the low scoring of the top four players, a very difficult course. I'd like to say a big thank you to the Wood family for their wonderful hospitality. 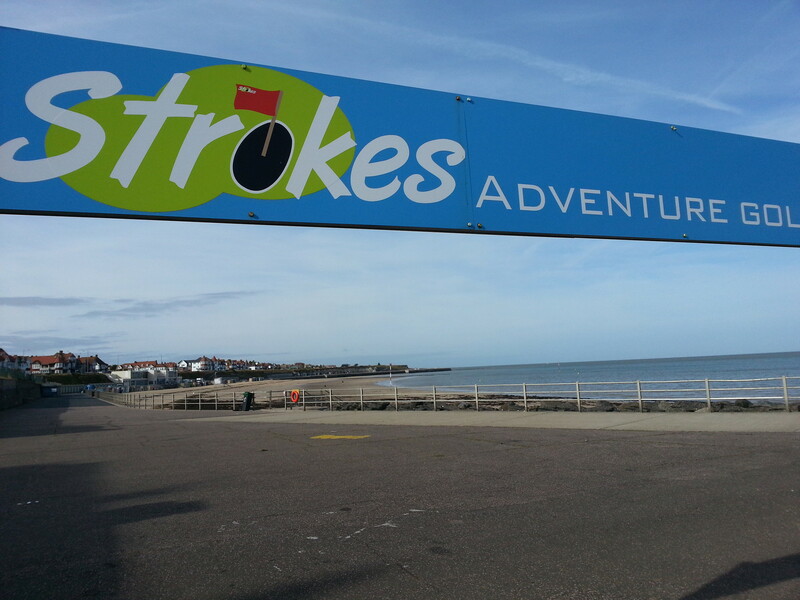 Strokes Adventure Golf is a truly amazing course and hopefully we'll be back there in the future. And of course a special thank you to our tournament directors: Sean, Marion, and Emily, who ran the tournament as flawlessly as always, despite the difficult weather conditions." Michael Smith’s second round score of 28(-8), which consisted of nine holes-in-one, set a new course record at Strokes Adventure Golf, beating the previous record held by Sweden’s Bjön Dinau and England’s Nick Chitty by two shots. 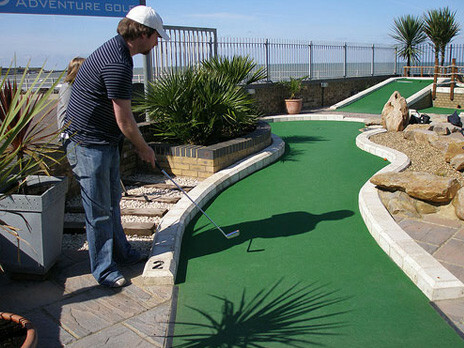 The 18-hole Strokes Adventure Golf course on Westbrook Promenade in Margate was hosting the BMGA British Open for the fourth time and the field of players included four previous champions, the defending champion Marc Chapman and a field of skilled minigolf competitors battling to win the title. The two-day tournament was scheduled for seven-rounds, but after torrential rain caused flooding on part of the course on the Sunday the competition was halted and results declared at the end of the sixth round, with 108-holes completed. Association’s history to have won all three of the BMGA’s major competitions. 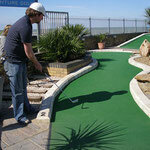 He is the reigning Castle Golf World Crazy Golf champion and won the 2012 BMGA British Championships. He is also the reigning BMGA British Masters champion and BMGA British Matchplay champion and a member of the BMGA British Club Championship winning team, the Kent Minigolf Club. 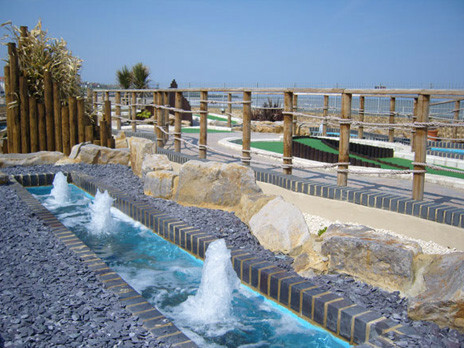 Other titles won in 2012 include the BMGA British Adventure Golf Open, the Crazy Golf Pro Championship (hosted by Bompas & Parr and UrbanCrazy) and the Pirate Cove Open. Other prize winners at the 2012 BMGA British Open were Adam Kelly finishing in fourth place. The 2006 British Open champion Karsten Hein from Germany finishing in fifth spot and 2009 champion Torgny Kjellströ of Sweden finishing in sixth place. The BMGA British Open Novice Champion was Pete Bradshaw of New Zealand. England's Richard Linden was runner-up and New Zealand's Mandy Bradshaw was third. Richard Linden also won the Novice Aces Champion prize for most holes-in-one in the category. England's Ruth Burke won the overall tournament Aces Champion prize scoring 19 holes-in-one in the competition. In the BMGA British Open Team Championship contested amongst the seven club teams in the tournament the Kent Minigolf Club won by 23 shots.